Adam is committed to field-based experiential education, instilling critical thinking skills, and strategic science communication. Museum-based specimen work and nature photography are core elements of his scientific identity, and he strives to showcase the broad-based value of these approaches for learning, capacity-building, and outreach. He firmly believes scholarly excellence Is achieved not only through high-quality research, but also through mentorship and innovative teaching. Adam has practiced these skills by leading workshops and bioblitzes, and as a university teaching assistant and co-instructor of record for herpetology and animal behavior courses. 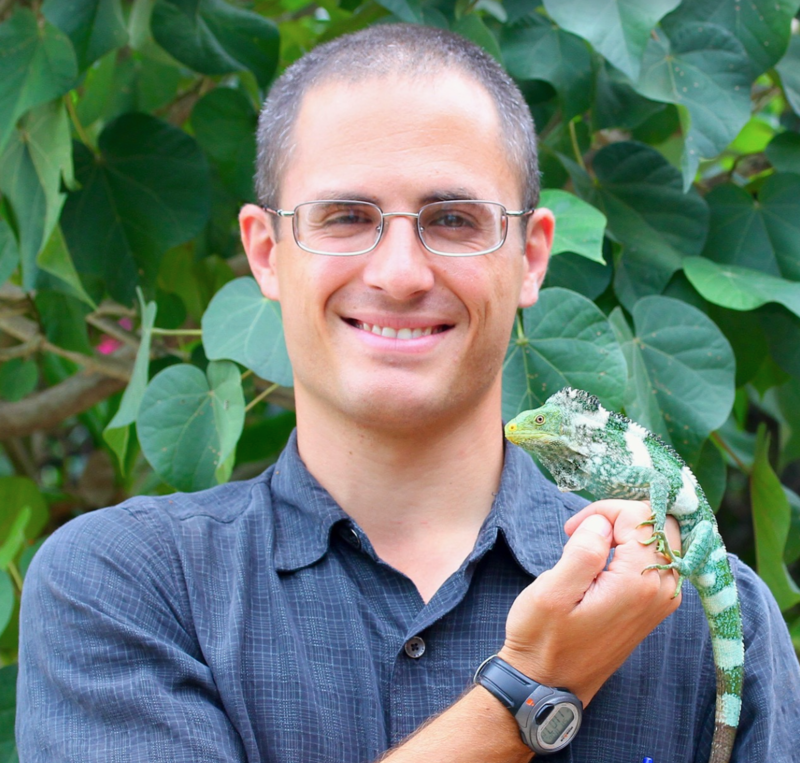 Adam is a biodiversity scientist, conservation biologist, and herpetologist. His dissertation work focused on the spatial ecology, socio-ecological management, and life history of alligator lizards, with special emphasis on the Mesoamerican genus Abronia and the California endemic Elgaria panamintina. His research has contributed to improved policy and decision-making for several globally imperiled clades of squamates and amphibians in California, Mexico, and Fiji. Adam is fascinated by biogeography, systematics, and human dimensions of conservation practice as they relate to herpetofauna. He has a lifelong affinity for both arid temperate and mesic tropical landscapes, and loves to explore the biota of remote desert canyons and isolated cloud forest peaks. To date, Adam has authored or co-authored over 30 articles in peer-reviewed scientific journals. Fish and Wildlife Management. IN REVISION. Herpetofaunal “extinctions” in the Fiji Islands. Pacific Science. 72(3):321–328. Clause, A. G.*, Solano-Zavaleta, I., Soto-Huerta, K. A., de la A. Pérez y Soto, R., and C. A.
Hernández-Jiménez. 2018. Morphological similarity in a zone of sympatry between two Abronia (Squamata: Anguidae), with comments on ecology and conservation. Herpetological Conservation and Biology. 13(1):183–193. coralsnake Micrurus elegans. The Southwestern Naturalist. 62(4):303–308. mystery: Rediscovery of Mesaspis antauges (Squamata: Anguidae). Zootaxa. 4304(4):559–572. Clause, A. G.*, Pavón-Vázquez, C. J., Scott, P. A., Murphy, C. M., Schaad, E. W., and L. N.
Gray. 2016. Identification uncertainty and best-practices for documenting herpetofaunal geographic distributions, with applied examples from southern Mexico. Mesoamerican Herpetology. 3(4):976–1000. Clause, A. G.*, Schmidt-Ballardo, W., Solano-Zavaleta, I., Jiménez-Velázquez, G., and P.
Heimes. 2016. Morphological variation and natural history in the enigmatic lizard clade Scopaeabronia (Squamata: Anguidae: Abronia). Herpetological Review. 47(4):536–543.